In the last years actively discussed problem of monthly energy costs. The decrease in payment of utilities directly related to the installation in apartments of meters, particularly water meters. To avoid errors in calculations of water consumption, it is necessary from time to time to check the water meter. The installation of water meters in apartments for a long time has acquired a mass character. In such cases, between the apartment owner and the power supply, the contractual relationship arise, which regulates the installation, maintenance and monthly readings of the metering device. Often in contracts responsible companies do not indicate that the owner is required every four years to inspect the water meter. In the technical documentation is defined as verification of the metering device. Calibration of the water meter - paid service, it will cost in the range of two thousand. Typically, sealing and verification of water meters conducting water utility in your city or organization that is licensed to conduct this type of service. Calibration determines the error of the instrument on the readings. Time check the water meter was originally installed by the factory and noted in the passport counter. Procedure for verification of the metering device. Due verification of the metering device, you have two options for this procedure. The first option. 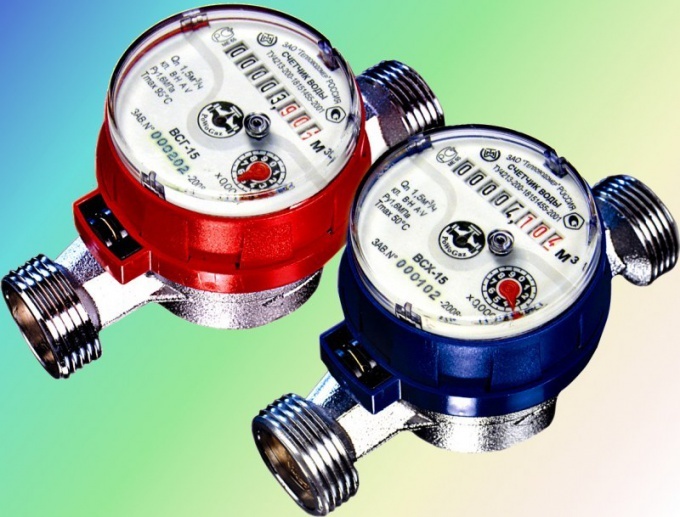 You may own to remove the water meter at home and take it to hooverite for review. This option is cheaper because you do not have to pay employees supply organization for the dismantling of the counter. But in this case the owner raises the problem of the temporary absence of water in the apartment. In addition, you should record the readings on the day of removal of the meter, and then lock them in a supply organization. The second option. Apply at the utility company or water utility for dismantling the water meter. On the appointed day the representatives of the utility will remove the meter. On the day of lifting the water meter you will be able to act, which will record the readings at the time of dismantling. For thirty days while your device is to check you have the right to pay for water not by average standards, but on average your meter for the last six months. After your water meter calibration will take place, you should as soon as possible to apply to power company for the installation of the meter in your apartment. At the time of installation, the employees of the utility shall be the act of taking the account of the attorney of the counter. Be sure to pay attention to the readings on the day of removal and at the time of the installation, the same. In order to not have to spend extra money when buying a metering device always pay attention to the date of the factory calibration. Note that the following calibration you must spend only four years after factory. 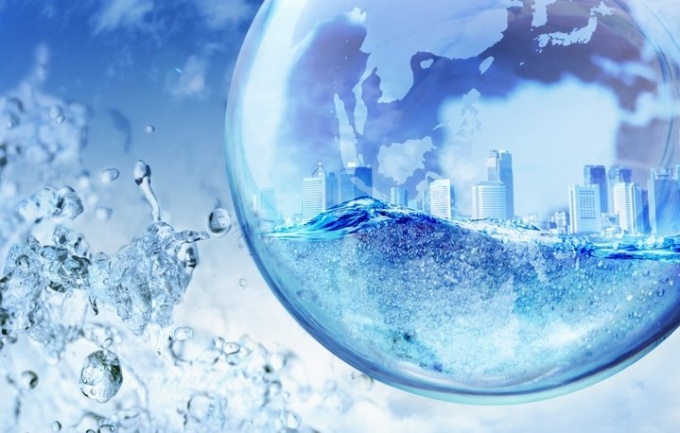 The law on energy efficiency dated November 23, 2009, States that from 1.07.2012 years all apartment houses must be equipped with metering devices of water consumption. In addition, the act regulates the timing and calibration of these devices and their replacement. So, to check the correct operation and the transmitted information should at least 1 time in 4 years. It should very clearly observe the instructions on the verification of such devices. Verification of water meters is necessary, according to experts, in order to timely detect errors in operation of devices and to specify whether they are suitable for further use. Verification of water meters must exercise competent authorities - metrological Department or the housing Department. Each of these types has its purpose and peculiarities. Initial inspection is performed either before the release of the counter on sale or it's repair. In the first case the user about this fact will only find from the accompanying documents, which are supplied with the device. On the second it will directly affect its interests. In addition, you should take into account the fact that the primary calibration directly affects the continued imipraminovogo interval - for example, it may significantly reduce. Initial verification after repair is not very different from that made at the factory when production of the device. The only difference is that checking it at home. Along with mathar make sure the correct check. Periodic calibration is exactly the kind that users most often meet. He is by law at least every four years. Extraordinary verification required in those cases, if it lost the certificate on the previous reconciliation, and in that case, if the device for a long period of time was idle, and was then commissioned again. In addition, an extraordinary verification is required when there is suspicion that the meter is incorrect. Inspection verification is that of the state metrological bodies. The results of calibration are issued with a registration certificate stating the term to which the counter complies. And this term will be the end point of shelf life, after which it is necessary to check the performance of the device. This data sheet you need to register in the organs of payment for utility services (EIRTS). You should be prepared for the fact that the meter calibration will result in cash expenditures. But in any case this amount will be less the payment of water consumed according to the norm. Cost verification of one instrument will be approximately 1000 p. In case during verification process, deficiencies were found and the meter was replaced, the cost will be equal to 1600 R.
In most cases the verification is made directly at home. Comes inspectors and by special tests to validate the data, which are obtained in fact, and those that are recorded by the counter. Counter you can check yourself in a specialized and accredited it organizations, for example, Rostest. For this you need to remove the meter and take it to the inspection body. However, it should be borne in mind that the disadvantages of this method are several. One is that you will have a few days to live without water, as check, the competent authorities carry out in one day. The second is that not every counter can be removed independently. The third drawback is that despite the inability of water use, the management company will still charge you a payment for water. And do it according to the established standards. But should such a test much cheaper - about 500 rubles. If the counter is to remove their own is not possible, can use the services of a specialist. Call a plumber from the housing Department. It will help you to first dismantle the device, and then install it again. The verification test is just to the banal. Master takes container, usually litre and fills it with water from the tap. It then checks the readings on the meter. And if the changing numbers coincide with the real figure, the counter has passed verification. To independently perform such tests of the formally impossible. Measurements must be done by the specialist, he then puts a stamp in the registration certificate, which indicates the purity and adequacy of the test. Remember, if the timing verification you miss, the management company is entitled to make a recalculation for missed time according to standards. Remember that the deadline for testing a new counter is counted not from the date of manufacture or even the sales and from the date of commissioning. This date is mandatory is put in the data sheet of the device.